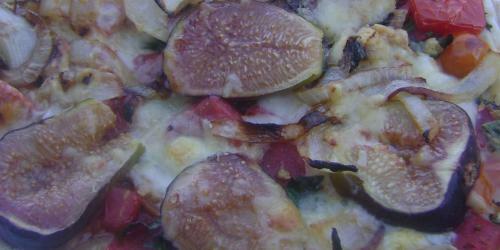 As you know, I love figs, as well as pizza …so I figured there was no reason I couldn’t have figs on pizza. Turned out I was seriously onto something as the heat of the oven drew out the figs’ sugars and it was like eating pizza with perfect little bites of fig jam. This pizza is intentionally light on cheese so as to accentuate the other delicious toppings. 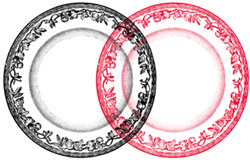 Roll dough out on a floured surface into a 10" circle. Transfer to pan. Top with tomato mixture, followed by the cheese. Top with fig slices and caramelized onions. Oh my gosh…I might be in heaven! Seriously this sounds (and looks) like the best thing in the entire world! (hum…I might be pretty easy to please!) 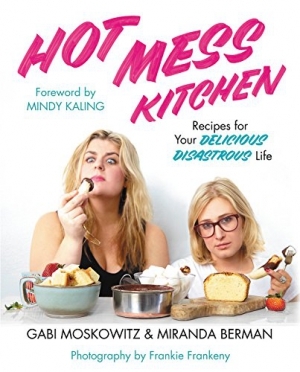 Thanks for posting…am making this tonight!! Good read. I learn something new and challenging on blogs I stumbleupon day to day. It’s always interesting to read through content posted by editors and use a little something from other online websites. Nice post. I find out something new and challenging on articles I stumbleupon every day. It will always be fascinating you just read content from the editors and practice a little something from other web sites. Nice post. I find out something totally new and difficult on sites I stumbleupon every day. It’s always helpful to study information from the authors and practice something of their sites. Good read. I learn something new and difficult on sites I stumbleupon every day. It will always be useful to read through information from the other writers and practice something from their web-sites. Good read. I find out something new and challenging on websites I stumbleupon day to day. It’s always intriguing to read simple things written content from the other freelance writers and practice a little of their sites. Nice post. I learn something new and challenging on blogs I stumbleupon day to day. It will always be interesting to read information from the other writers and practice a little something of their online websites. Good read. I find out something totally new and challenging on sites I stumbleupon every day. It will always be exciting to read through written content from the other editors and use something of their websites. Good read. I find out something totally new and difficult on webpages I stumbleupon regular. It will always be exciting you just read material from the other editors and use a little something of their web sites. Good read. I learn something totally new and challenging on blogs I stumbleupon day to day. It will always be exciting to learn content material posted by freelance writers and use something from other online websites. Good read. I learn something totally new and difficult on sites I stumbleupon day-to-day. It will always be intriguing to learn content from the other writers and use something of their internet sites. Nice post. I find out something new and difficult on articles I stumbleupon day-to-day. It will always be intriguing to read articles from their freelance writers and use a little something of their sites. Good read. I learn something new and challenging on personal blogs I stumbleupon everyday. It will always be interesting you just read material from other internet writers and use a little something from other internet sites. Good post. I learn something totally new and challenging on websites I stumbleupon day-to-day. It will always be exciting to learn information from their freelance writers and use something from other web pages. Good post. I find out something new and challenging on articles I stumbleupon every day. It will always be helpful you just read articles from all other freelance writers and practice a little something from their web-sites. We can generate some details from the video clip. To start with, we’re high up in the hills. Additionally in the clouds at first. The surface looks rather entirely dry, definitely not overload or vast forest. Yet there is no snow. Remote, far away, there appear very high hills, with some white snow at the extremely tops.